Around the world, patrol boats are critical assets for providing coastal security and surveillance. 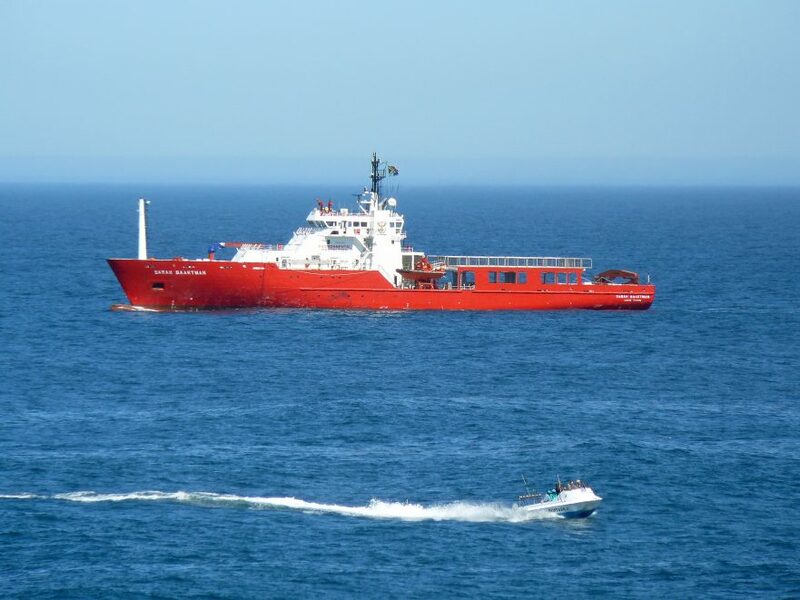 Missions range from border protection and vessel interception/interdiction to providing non-lethal marine security, valuable cargo escorts, super-yacht shadowing, personnel and property protection, fisheries monitoring and more. In addition to supporting private security efforts, many different types of patrol boats are used within the government and military programs of nearly every nation. The international demand for these security workboats is predicted to increase nearly two-fold in the coming decade. According to market research company QYResearch, the patrol boat market is expected to grow from $180 million in 2017 to $320 million in 2025. This rapid expansion is in response to increasing regional tensions, peacekeeping operations, conflicting territorial claims and maritime security threats, reports Future Marketing Insights, a provider of market intelligence. Despite the growing demand for patrol boats internationally, many operators are facing budget constraints – in some cases due to defense spending cuts – that force them to do more with less. Additionally, many countries are faced with difficulties of maintaining trained crews. For these reasons, modernizing existing patrol boats outfitted with autonomous vessel technology creates new opportunities to leverage greater patrol coverage with less force required to manage coastal security zones and assets. Read on to learn about Sea Machines’ mission to relieve the pressure, while helping patrol boat operators maximize performance, reduce risks and lower costs. Incorporating Sea Machines’ autonomous vessel technology aboard existing patrol boats maximizes the performance of recon/surveillance activities by removing the challenges associated with manned watch schedules. Across all industries, manual operations add inefficiencies, risk and cost to operations. From agriculture and transportation to mining and construction, advanced automation and robotics are revolutionizing how planned and routine work is done all over the world. For many operators, the ability to modernize an existing patrol fleet instead of building new hulls also offers significant advantages. Sea Machines systems integrate easily with existing propulsion systems and sensors on board, including AIS, radar, forward-looking sonar and others, helping to efficiently increase the effectiveness of surveillance fleets. The company’s next mission involves reducing the risks crews face aboard patrol boats. From preventing piracy, smuggling and acts of terrorism, mariners aboard marine security teams are often, sometimes quite literally, put into the line of fire when identifying and intercepting maritime threats. To mitigate these inherent risks, a Sea Machines system allows workboats to perform monitoring and surveillance tasks using unmanned or minimally manned operations. Outfitted with gimbled marine camera systems, and EO/IR cameras; marine night vision; marine thermal imaging; sensors; sub-surface monitoring and other sophisticated technologies, unmanned patrol boats can provide real-time intelligence to a shoreside crew via remote feeds. Using the data, a land-based team can then safely decide what further actions are needed by the unmanned surface vessels (USVs). As the technology continues to develop, the SM300 will incorporate algorithms for “automated vessel recognition” to intelligently identify, classify and report suspicious threats or target vessels. One of the highest expenses for any marine operation is the cost of crew. Installing a Sea Machines system aboard patrol boats allows operators to reduce force without sacrificing surveillance quality. With the ability for shoreside or mothership operators to remotely monitor and control patrol boats, there are new possibilities in maintaining defensive presence in target areas without high crewing costs. Adding to crewing costs are shift changes required for traditionally crewed craft. Unmanned surface vessels (USVs) reduce these costs thanks to their ability to work 24/7 and because they eliminate the need to shuttle personnel back and forth from a shift change location. Eliminating such stop-work periods can yield a 150-percent gain in operational efficiency, significantly reduced crew risks, and improved accuracy and tracking capabilities. From maximizing operations and lowering risk to reducing operational costs, it’s clear that both nearshore and offshore patrol vessel operations can benefit greatly from autonomous vessel technology. The technology can be added to existing assets as a retrofit or as part of new-build specifications, typically requiring only 10 components to install. Most vessels can be outfitted with a Sea Machines system in just a couple days. Even for small patrol fleets, the system is surprisingly accessible, thanks to an affordable price point or flexible leasing options. As the U.S. Coast Guard, U.S. Navy, the Royal Navy and other international marine protection agencies adopt “drone boat” technology, it’s not a matter of if autonomous marine systems will be standard fare for patrol operations, it’s a matter of when. Sea Machines is one of the leaders charting the path for autonomous systems for the marine industry. If you’re ready to modernize your marine patrol operations, contact us today.